Stedman has released the GEN II Grand Slam trade heater package in response to customer feedback. The redesign cuts heater maintenance time by up to 50%! 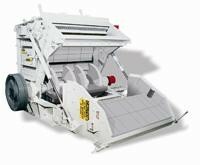 Stedman’s groundbreaking heating system has saved industries millions of dollars since its introduction in 1998, improving the crushing efficiency for wet and stick materials. Contact Stedman Today for your Retrofit Quote & more information!